Explore NMC | Find it here. 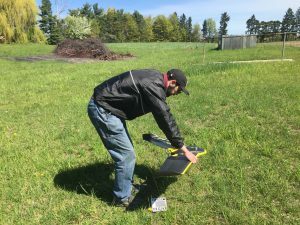 On Wednesday, May 18, 2016 NMC’s Unmanned Aerial Systems program in partnership with Michigan State University kicked off our research project at the Northwest Michigan Horticulture Research Center in Leelanau County. Our UAS & Cherry Leaf Spot project is an exciting collaboration between NMC and MSU through which weekly imagery will be collected using unmanned aircraft. Students enrolled in the NMC/MSU Fruit and Vegetable Crop Management program will analyze the data each week as a means to determine how Cherry Leaf Spot (a fungal pathogen) can be better managed by cherry growers. Empathy is both a deeply sown human trait and a cultivable skill. It is both a necessary condition of social life and akin to a muscle, something that must be worked to remain fit and healthy. This is especially the case in a culture like ours, which prizes individuality and individualism. With that in mind, my colleagues Lisa Blackford and Melissa Sprenkle and I worked with organizations to create events and activities that, we hoped, would pull on students’ native tendencies and strengthen them. To highlight National Hunger and Homelessness Awareness Week, we encouraged students to participate in three activities: the SNAP Challenge; the NMCAA SleepOut for Warmth; and a Walk for Health & Housing. We believed this would provide them with a deeper connection to the issues we would research and study this semester in our sociology, social work and communications classes. 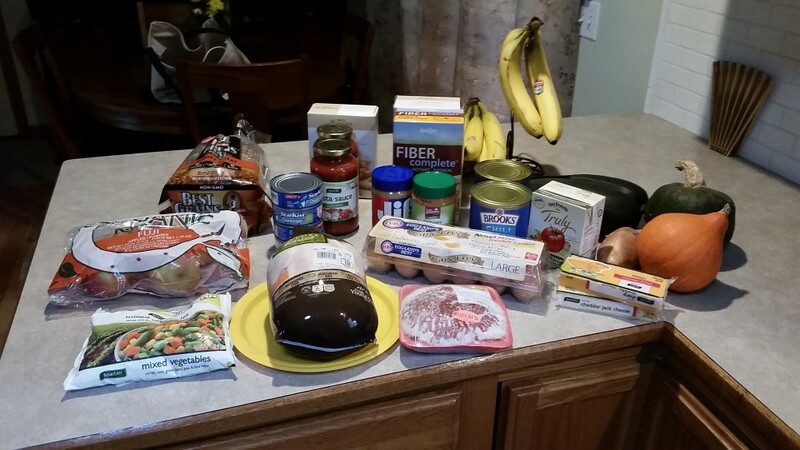 The groceries sociology instructor Brandon Everest and his wife Mika Wilson-Everest bought with the $58 SNAP budget allotted the two of them for one week. The SNAP Challenge asks participants to live for a week on the average SNAP benefit of $29. SNAP, America’s Supplemental Nutrition Assistance Program, provides food support to low-income citizens. In taking the challenge, we joined the 20-25% of SNAP recipients who eat exclusively from these benefits. For the Nov. 4 SleepOut, we joined community leaders sleeping outside to raise funds for Northwest Michigan Community Action Agency’s Utilities Shut off Prevention Fund. Last winter, this fund paid out $1.6 million keep more than 1,500 Northern Michigan families warm. We imagined, if only for one night, what it might be like to be out in the cold. For the Walk for Health & Housing, we joined Ryan Hannon, Goodwill Street Outreach Coordinator, on a guided tour of TC’s downtown. Stopping at various sites, we tried to see through the eyes of unhoused people and gain insight to their challenges in our community. Amanda Ufer is originally from Traverse City, MI. She graduated in the spring of 2015 from NMC with an Associates Degree in Science and Arts and transferred to Calvin College to study Math and Spanish, ultimately for secondary education. I grew up in Traverse City along with my three sisters and always dreamed of traveling the world some day. I didn’t expect that I would visit three different countries before I turned 20! 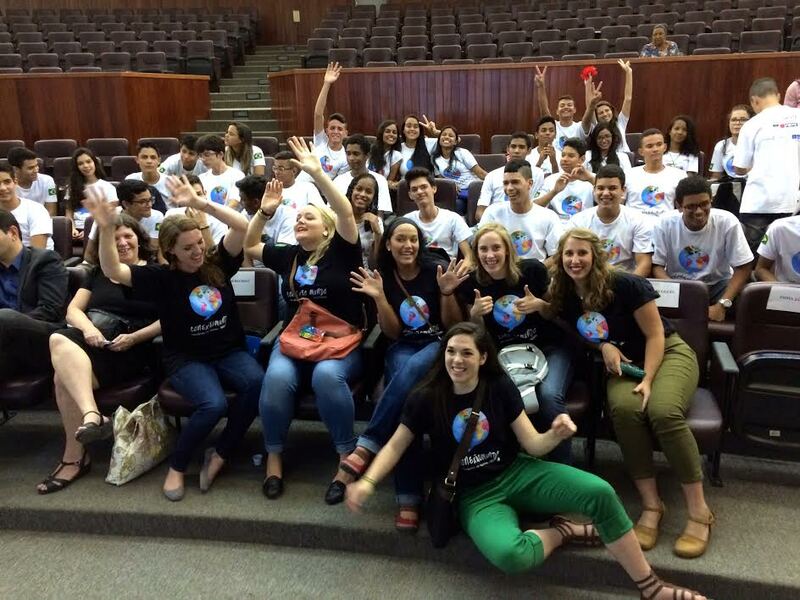 I spent 3 weeks learning Spanish in Costa Rica with my best friend and a long week in Jamaica with my senior class. By the time second semester of my first year at NMC rolled around I was itching for another trip somewhere. I heard about US-Brazil Connect (USBC) and thought it sounded interesting, but I wasn’t an English major or even an education major. 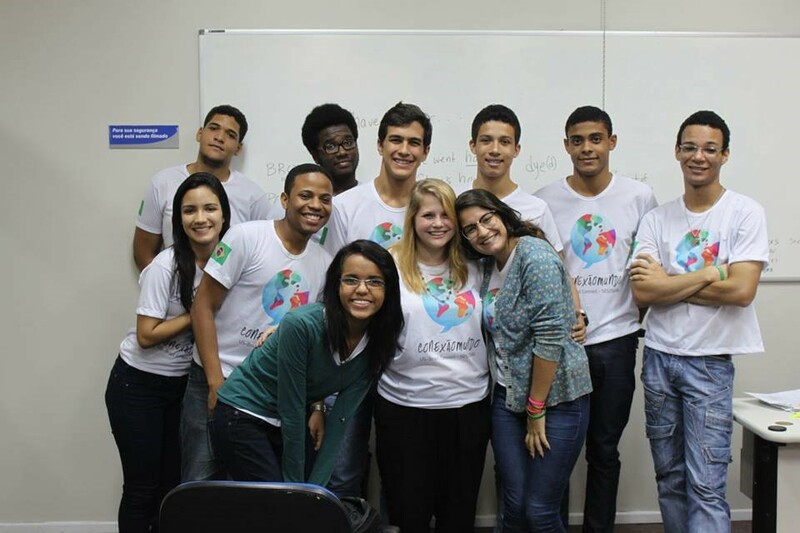 I didn’t feel confident that I would have time to work with students online before, and after, the month in Brazil so I passed it up. The following school year Jim Bensley came into one of my classes to inform us about a study abroad trip and I couldn’t help myself from researching the trips to find one. I found the USBC trip again and had since changed my major from medicine to education. So I decided I would somehow raise the money and make it a reality. Alex Bondar will be a junior at Western Michigan University in the fall of 2015 and currently works at the NMC Student Life Office. She earned her associate’s degree from NMC in general studies and hopes to receive a degree from Western in education with a focus in English. I grew up in a small town near the thumb of Michigan – Armada, with a population of less than 2,000 people, mainly white and mainly Christian. My only experiences in life were from Armada: you know everyone you see every day, that any trip outside of town was a brand new adventure, and that the idea of traveling the world is an almost impossible feat. Never did I ever think I would move to Traverse City a year after I graduated. But, after my first year of community college and at 19 years old, I moved 4 hours north to the Cherry Capital. Enter Student Life, the first job I got when I moved to TC. It was a great way to get to know people since many students enter our office every day. Across the hall is the International Services and Service Learning Office, where Jim Bensley works. Because of our free coffee, many more than just students entered our office. Jim was one of those people. I got to know him and what he does, and that’s when I first heard the word: Brazil. 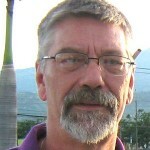 Randy is a student in the Freshwater Studies program at Northwestern Michigan College. He has been the recipient of several scholarships: Adopt-A-Student, the Global Opportunity Fund, the Science/Math Honors Merit Scholarship, and the Jensen-Lena C Scholarship. 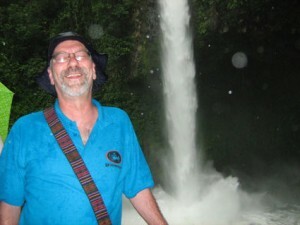 Randy visits a waterfall near the Arenal volcano. Randy has many reasons to celebrate summer. One of them is his successful completion of the Freshwater Studies Internship with an international, interdisciplinary team of students and faculty from Northwestern Michigan College in the United States, and EARTH University in Costa Rica. An accomplished chef with 40 years of experience, Randy is broadening his professional outlook, exploring a new career in water. We are very pleased to feature his internship story. Want a way to stand out from the crowd when it’s time to look for a job? Consider a study abroad trip. Students who study abroad find a job twice as fast as those who don’t and earn $7,000 more, according to 2012 studies. NMC Flight Instructor Abigail Smelzer as a student on a 2011 trip to the UK. Moreover, in a global economy employers increasingly value study abroad experiences, but relatively few students take them, according to the Chicago Tribune. 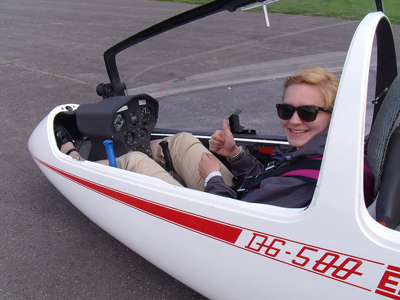 NMC Flight Instructor Abigail Smelzer is one who did and saw it pay off in her job hunt. As an aviation student at NMC, she visited the United Kingdom in 2011 and South Africa in 2014. Steve Ursell, Head of International Aviation at NMC, said those trips gave Smeltzer an edge when the department was looking to employ flight instructors in August 2014. “Her experience in both the UK and South Africa certainly assisted her in gaining a flight instructor position at NMC because we have a very active international program,” Ursell said. “Because I went on the trip as a student, now I understand the whole point of what the international program is about,” Smelzer said. How do you get girls interested in STEM fields? Consider showing them some stems. Real, live, green ones, that is, with leaves growing. Put the girls — young women, really — in charge, from planting the microgreens to tending them to monitoring them. Charge them with running experiments and collecting data, like whether the greens grow better under fluorescent lights or LED lights, and whether plain water or fish tank water is more nourishing. Let them harvest, and judge which kind tastes best. 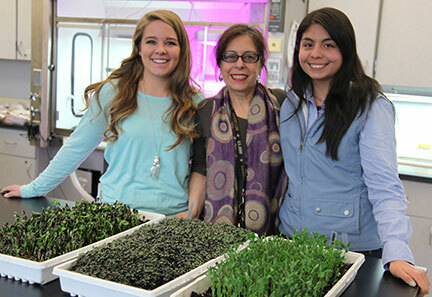 From left, Taylor West, Constanza Hazelwood and Karla Vega with greens grown in the vertical agriculture structure shown behind them. That’s what intern Karla Vega and student Taylor West did this semester in a lab on NMC’s Great Lakes campus. The pair forged a research partnership that not only bridged language and cultural barriers but helps lay the groundwork for sustainable, indoor agriculture that could eventually improve the diets of millions. “To get girls engaged in science we need to let them make decisions, give them room to make mistakes and try things out on their own,” said NMC Water Studies Institute Education and Outreach Coordinator Constanza Hazelwood, who supervised Vega and West’s research this semester.